Sci-Fi Show 'The Expanse' Preps Us For The Future : 13.7: Cosmos And Culture What is most remarkable about The Expanse, even into Season 2, is its realism; more than any other TV space-themed show, it gets the science right, says astrophysicist Adam Frank. A scene from The Expanse, which takes place 200 years in the future when humanity has settled Mars, the asteroid belt and the moons of the giant planets. The great jazz saxophonist Branford Marsalis once told an interviewer: "There's only freedom in structure, my man. There's no freedom in freedom." He meant that when an artist chooses to work within the structure of something like a sonata or a three-act play, their creativity can actually be heightened. Constraints, ironically, can lead to freedom. And what's true of music and theater is equally true of fiction, as we are seeing in the second season of SyFy's epic series The Expanse. Last year, I wrote two pieces on Season 1 of the Expanse. The first came before the show aired and was my plea to show runners not to screw-up my favorite science-fiction book series. The second came after the season was well underway, and I happily reported the show was nothing short of the best science-fiction show in a decade. I am, once again, happy to say the new season is just as good — and getting better. While there are moments of uneven pacing, overall The Expanse continues to build a story as wide as the solar system and, yet, as personal as the bonds between friends, lovers and enemies. It is awesome! But from my place as a scientist, what is most remarkable about the show's development is its realism. More than any other TV space-themed show, it gets the science right. It does this because it has to — and that's what makes it interesting. 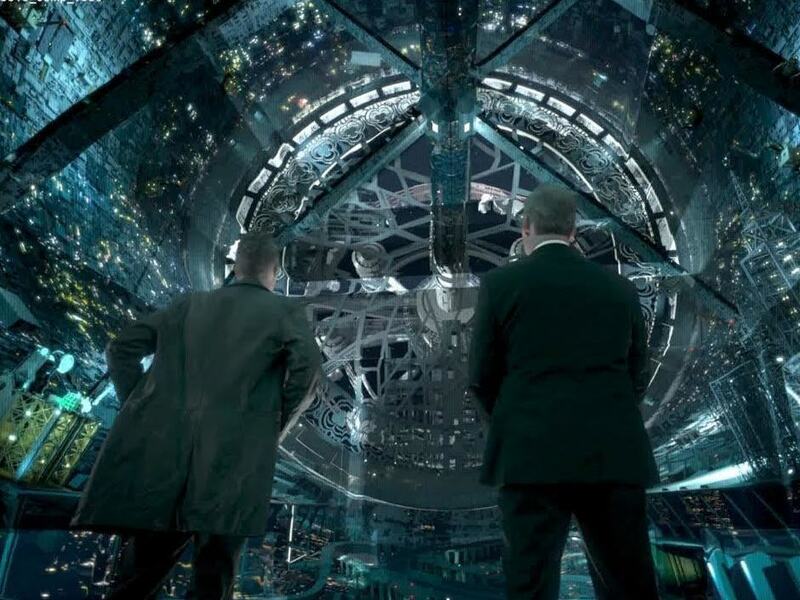 The Expanse imposes constraints on itself that are the real rules of real physics. That's a key point because, in many ways, The Expanse is the first real attempt to map out in TV fiction the "world" we'll face as we begin working our way off Earth. The Expanse takes place 200 years in the future when humanity has settled Mars, the asteroid belt and the moons of the giant planets. That means gravity (or lack of it) and space travel constitute an essential constraint on the characters' lives. Instead of dreaming up some kind of "artificial gravity" as most science-fiction does, the story lives in the real world where thrust (i.e. engines turned on) means the floor is pushed against your feet. It feels like you're standing on a planet. A spinning space station can also produce a gravity-like effect (you walk on the inside of a spinning tube). But without thrust or spin, you are floating, weightless. While the story focuses on the politics of prejudice, oppression, war and discovery, the real world of real space remains a fundamental player setting the limits within which that human story gets told. In order to better understand how the show has managed to make these constraints a key to its success, I spent a wonderful hour talking with the show's writers Mark Fergus and Hawk Ostby. The writing team have pretty impressive credentials, being responsible for the original Iron Man and the acclaimed Children of Men. So were you both fans of the books before the show? Hawk: When doing The Expanse was first suggested, the books were sent to us and I just remember looking at one of the covers and not wanting to read them. I thought it was going to be all techno-gobbledygook. Only when I had my arm-twisted did I crack the first book. Then, I read it all in a single afternoon and screamed at Mark: "Jesus, get the meeting." What was it that convinced you? Hawk: The thing about it was the story. It's all these people in this amazing setting — a science-fiction setting — that felt real. The story really felt like that's what it could be like 200 years in the future where things like gravity and the coldness of space really mattered. All those space sorts of things came into play and were nicely balanced with the characters' story in the way both Mark and I like it to be. The great thing about the story was you got engaged with these people and their issues, but they're also living in this impossible environment. So, I am really interested in how the real physics constraints affected your job as writers. Most science-fiction just finds workarounds. I once heard that the transporter in Star Trek was "invented" because the show didn't have the budget to keep showing shuttles flying back and forth. How did you see The Expanse's need to exist in a real environment — in terms of living and working in space — make the story more interesting from the narrative point of view? Mark: The problem with a lot of science fiction is when anything is possible, then anything is possible. Things don't have measure. So for us, gravity is really gravity. You can't just throw away the constraints science imposes because technology solved everything, which is what sci-fi tends to do. I feel like cell phones destroyed the modern thriller because everyone can communicate all the time. But in the science-fiction universe of The Expanse, the spaces are vast. With the [finite] speed of light, that means messages take time. It's like the railroads in America or wooden ships in Columbus's days. So in this real solar system of The Expanse, light travel times mean delay in communication. You don't have instant communications anymore — and that matters. So we're in a story where to speed up you have accelerate, which nearly kills the body which you then have to dope up just so it can survive. It takes months to get anywhere. And when you do conduct a battle, there's a 15-minute time delay across space. By the time you put an order out to your soldiers and get back a response, the battle's already over. With all these things, the physical world matters again in a way that sci-fi always just blows off. The show does a beautiful job of making it clear to viewers how the real world of real physics in space shapes the character's world. There are some signature scenes where you show a character floating weightless and then the engines turn on and they drop to the floor. Or if they are on a rotating space station, they fall away and backwards from an open airlock. Other times, though, you relax the realism. I imagine this is for budget reasons. I am interested in how you decide when to show the constraints and when to just imply them. Mark: Yeah, you can't do it all the time. So you just save it for really important moments. That's when the audience will really see what's happening and feel how the physics matter. That puts you on a path where in less important moments you can do without it. We do gravity really well in the important scenes. And the audience will go with us because we've told them that we care about how gravity really works and how it affects the lives of the characters. Hawk: Yeah, one of things that blew me away along these lines was wrapping my mind around how the decks were oriented on the ships. I loved that from the books. The ships are like flying skyscrapers and the decks are oriented like the floors in a buildings. Hawk: Yes, before in science-fiction shows, you would have these long decks like you have on a supertanker. You have one long deck, then, you go down to the next level and you another long deck running from the font of the ship to the back. Yeah, but in reality the decks are always oriented so that "down" is pointed at the engines. Hawk: That took a little bit of my brain to adjust. Me too. But that is kind of my point. It may take us a while to figure out, but if humanity ever actually builds this kind of society, it will just be normal everyday life for people a century or so from now. It will be the texture of their lives just like boarding an airliner is no big deal for us — but would have freaked out someone from 200 years ago. Mark: Yeah. That's why the esthetic [in the show] was we're not on sea-going ships. We're not on vessels on the ocean. You're in a rocket and your feet are pointing towards the engine and there are no windows. Hawk: The one area of we didn't follow the science though was sound. That was a big decision on the outset. Obviously there's no sound in space. But when you take space travel and remove all the sound, the drama just goes into nothing. Mark: For a storyteller, sound is almost as, if not more, important than the visual. It's is a huge part of your "crayon box" as a storyteller. Well, as a card-carrying astrophysicist, I forgive you. Speaking of realism, you know I have always been intrigued by The Expanse's idea that we'll settle the asteroid belt by hallowing out the big ones and spinning them up. That way millions of people could live inside with spin gravity. I tried calculating if that would work once. My initial try made it seem like it wouldn't. You would have to spin the rocks up so much they'd break apart. I was kind of bummed by that. Hawk: When you did that calculation, did you take into account the Flux Capacitor? Oh my God, no. That could be the solution!